Ultrasound first express: Women 41 yo acute abdomen pain 7 days ago cannot lay down decubitus by pain, came to MEDIC for ultrasound in emergency with patient sitting position. Abdomen ultrasound scan showed free fluid intra abdomen like internal bleeding, uterus was big and one round mass nearby uterus with size of 4 cm. 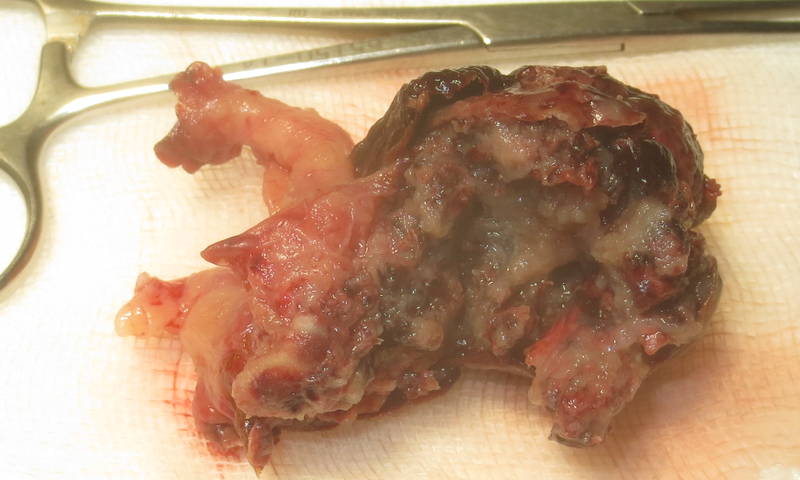 The mass with vessel central and doppler flow was looked like ECTOPIC PREGNANCY. 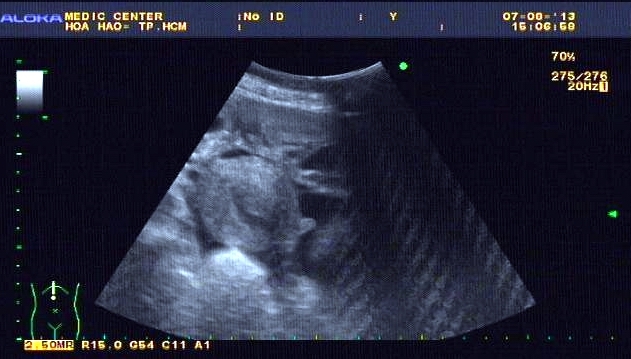 Scanning time lasted only 5 minutes, and diagnosing is rupture ectopic pregnancy. Emergency ambulance sent this patient to surgery hospital. Laparotomy was done in 30 minutes to control bleeding and remove the mass of tubal ectopic pregnancy. Conclusion: 5 minutes of ultrasound first can save the patient life.